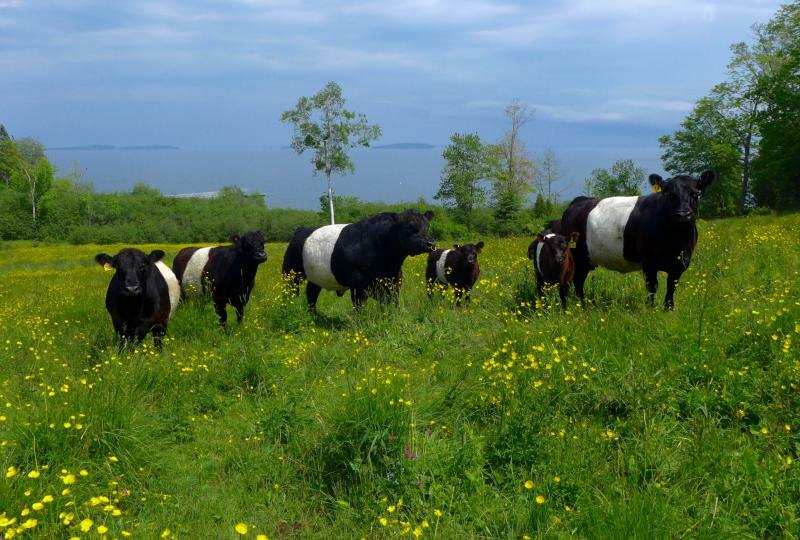 Beauchamp Point in Rockport, Maine is known for its beautiful homes, the beloved Belted Galloway’s of Aldermere Farm, and the Vesper Hill Children’s Chapel. 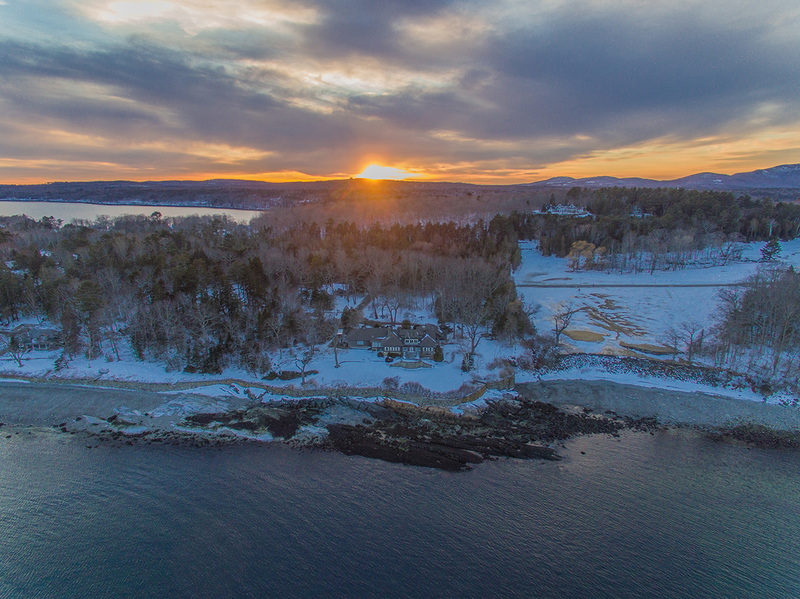 The peninsula extends down to the south with views of Penobscot Bay to the east and Rockport Harbor to the west. It was originally settled by early rusticators from the Northeastern cities, particularly Philadelphia, and the neighborhood has been a popular summer destination for well over a century. One such rusticator was Cyrus H.K. Curtis founded the Curtis Publishing Company in 1891. Curtis Publishing is famous for Ladies’ Home Journal and The Saturday Evening Post, which often featured the art of Norman Rockwell. In 1902, Curtis commissioned architect Cyrus Porter Brown to design his residence on Beauchamp Point in the Shingle-style of architecture that was popular at the time. He named the estate Lyndonwood after his home in Philadelphia, Lyndon. Curtis’ only child, daughter Mary Louise, married Edward Bok, and the residence has been inhabited by Curtis’ descendants and heirs since it was built. 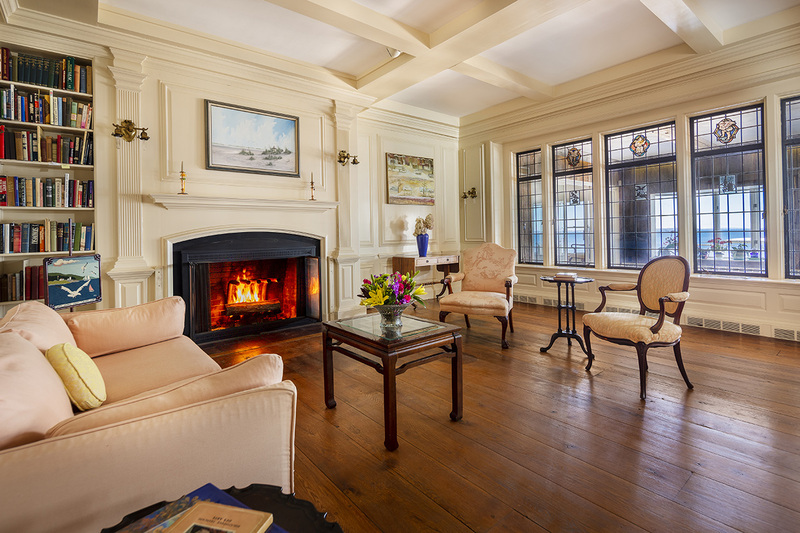 The house features grand rooms with fine details, elaborate woodwork and stunning water views. The estate-style setting is spectacular with a rolling lawn down to the water along with a guest house and additional outbuildings. The well-maintained gardens thrive in the summer with perennials, flowering shrubs, and garden beds for cut flowers. Curtis and his heirs were great philanthropists. Mary Louise Curtis Bok founded the Curtis Institute of Music in Philadelphia. 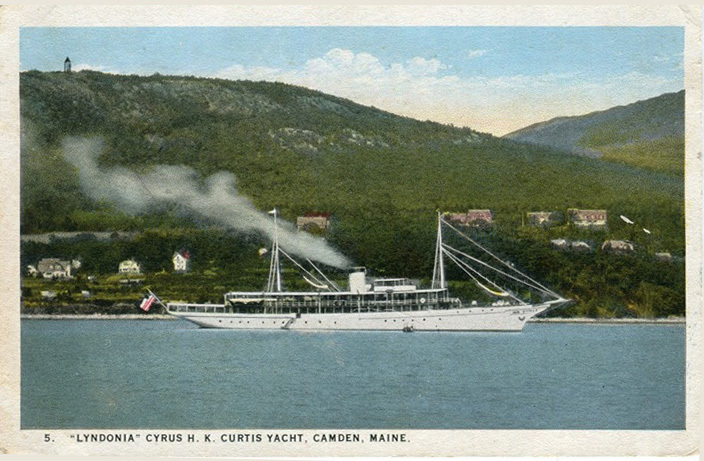 In Maine, Curtis was responsible for building the Camden Yacht Club in 1912. This was designed by John Calvin Stevens and originally intended for Curtis’ famously large private yacht, Lyndonia. In 1926 he donated the building to the town of Camden as a community center. The CYC remains an important part of the town. Mary Louise Curtis Bok also commissioned the Camden Harbor Park and Amphitheater in 1931, designed by famed landscape architects Fletcher Steele and the Olmsted Brothers. She started the tradition of maintaining flower baskets on the lamp posts around town, an idea one of her sons picked up in Europe and she thought it would help beautify the town. In keeping with such traditions, the last resident Bok who was an avid gardener, personally provided all of the flowers for the local church. For more information about Lyndonwood, click here.